Fig trees can live for as long as 100 years and grow to a height of 30m. 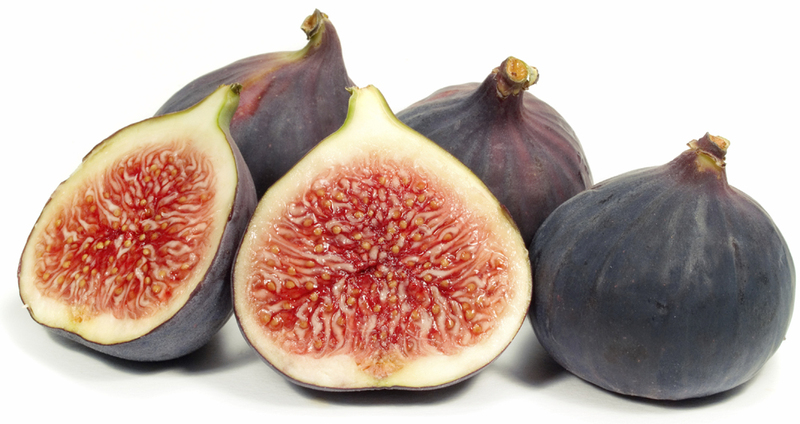 There are 250 different types of fig and the fruits come in three different colour groups: green or white, grey or red and black or dark violet. The taste of figs can be described as sweet, faintly nutty and pleasantly aromatic. Figs contain high amounts of carbohydrates and essential amino acids and large amounts of vitamin C and minerals. The fig is an important basic foodstuff in all the cultures of the Mediterranean region. As early as the first century A.D. there were as many as thirty different types of fig grown in the western Mediterranean. The fig also became a symbol of wealth and fertility because of its value as a food. In Roman culture the fig tree was dedicated to the god of wine Bacchus and for the Greeks it was similarly dedicated to the god Dionysos – as the symbol of zest for life and ecstasy. The Pantheon Temple was dedicated to the goddess Athene who, according to legend, brought fig cultivation to the city of Athens. In Indian Hinduism the fig is the fruit of the goddess Vishnu – symbol of fertility and wealth, and also as a symbol of lasciviousness. It was not for nothing that Adam and Eve, after eating from the Tree of Knowledge, covered their nakedness with nothing more than a fig leaf.